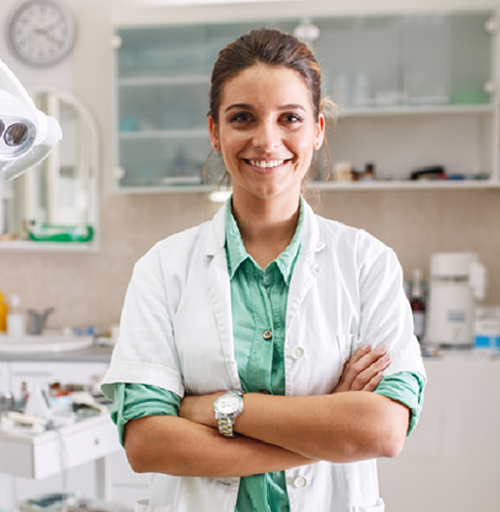 What is a Dental Hygienist? Dental hygienists are specially trained to work as part of the dental team, to give care to patients. They play an important part in dental health care and are mainly concerned with preventive dental health and treating gum disease – showing you correct home care and helping to keep your teeth and gums healthy. What happens during a Dental Hygiene check-up? Our dental hygienist, Miss Natalie Abram, will carefully remove the hard deposits of tartar (or ‘calculus’) that build up on the teeth. A dental professional has specialist equipment and instruments that can be used to remove these deposits. This is known as scaling. Polishing prophylaxis paste can be used to remove some stains caused by everyday living such as; tea, coffee, red wine and tobacco. However, it is difficult to remove all stains. Our dental hygienist will show you how to remove plaque with a toothbrush and fluoride toothpaste. They will also have shown you how to clean between your teeth with ‘interdental’ brushes, floss or tape. There are many oral care products you can get, including specialist toothpastes, electric or ‘power’ toothbrushes, and mouthwashes. Your dental hygienist will recommend those that are best for you. Very informative and easy to talk to, put me at my ease and explain everything…..very professional. I would gladly recommend. Both myself and my whole family have been patients at this practice for many, many years. The treatment and advice have always been second to none. I would recommend this practice to anyone. Friendly, efficient and professional, always. Have always had excellent care…highly recommend the practice. All staff friendly ..…professional and caring practice. Whenever I need to have work done I never worry about it due to knowing that I will be treated with the utmost care. I am so pleased with the excellent treatment from here. The staff are lovely and caring. The level of care from everyone is amazing….Thank You. At Bosden Farm Dental Practice we have a very friendly and helpful team wanting to make your visit as relaxing and comfortable as possible. We are happy to answer any questions you may have and believe in offering you choice and information about your dental care. ©2019 by Bosden Farm Dental Practice. All rights reserved.